Coaching is all about maximising performance, regardless of whether it’s a superstar looking to reach greater heights, a new hire wanting to start off on the right foot, or even a struggling employee who needs to improve. Anyone can be a coach, as long as they have certain intangible skills and receive the proper training. The company, coach, and employee need to agree on what to improve, how to do it, and how to define success. As long as everyone is on the same page and dedicated to professional development, the end result will be employees, and a bottom line, that reach their potential. But how can you ensure that everyone from seasoned veterans to new hires reach their full potential? By offering coaching. 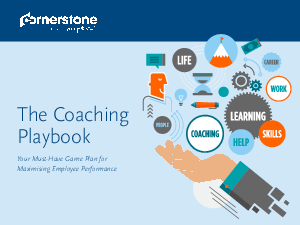 Over 70% of employees who received coaching saw an increase in work performance, relationships, and communication skills, and 80% reported having more self-confidence.